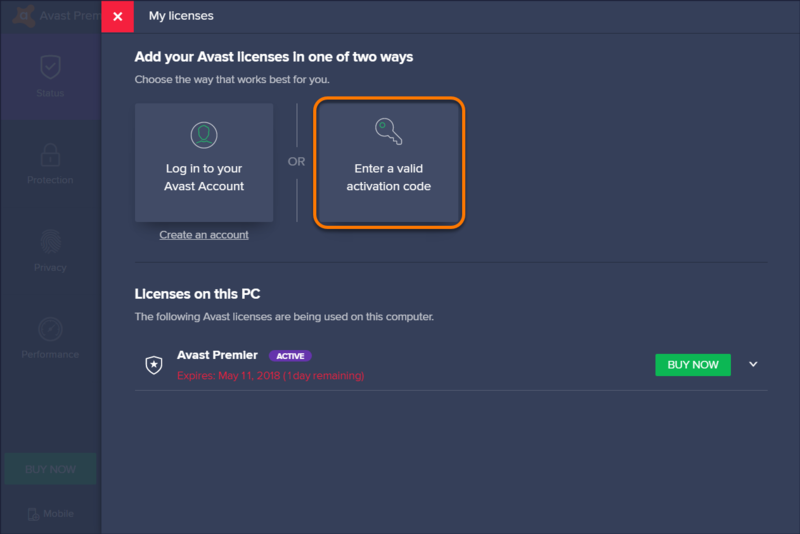 After purchasing Avast Premier, you need to activate the product using either a valid activation code (sometimes called a subscription code or voucher code), or via your Avast Account that is registered with the same email address you used to make the purchase. 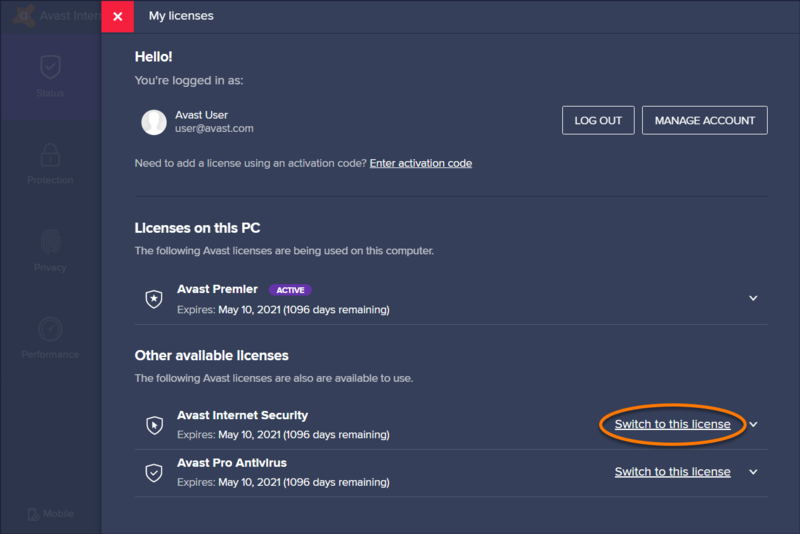 Right-click the Avast icon in your system tray and select Subscription information. On the My licenses screen, click Enter a valid activation code. Check your license details for the entered activation code. If you have an activation code for interchangeable products, you can click on a listed item and select an alternative license from the drop-down menu. Then click Continue to return to the My licenses screen. 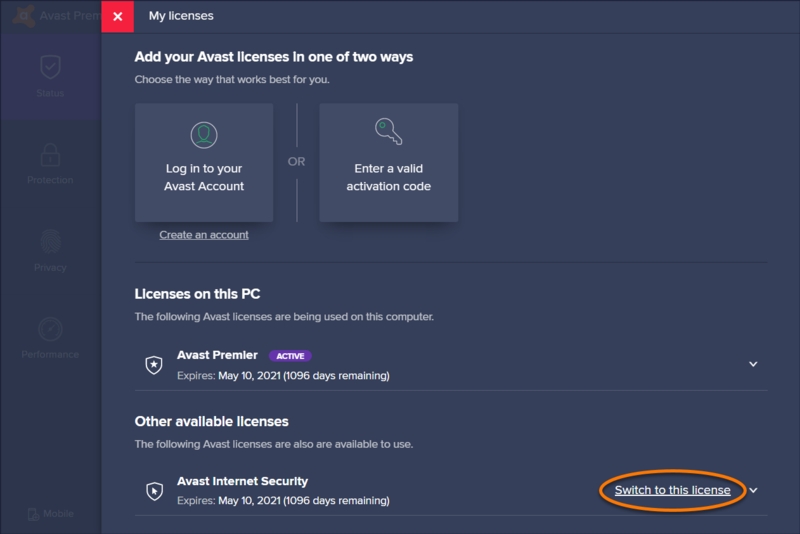 All your Avast licenses automatically appear in the Avast Account registered with the same email address you used to make the purchase. 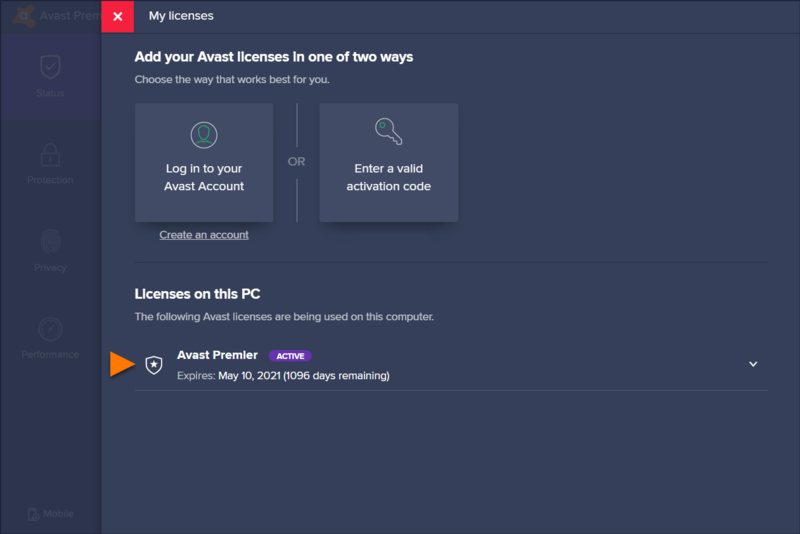 On the My licenses screen, click Log in to your Avast Account. 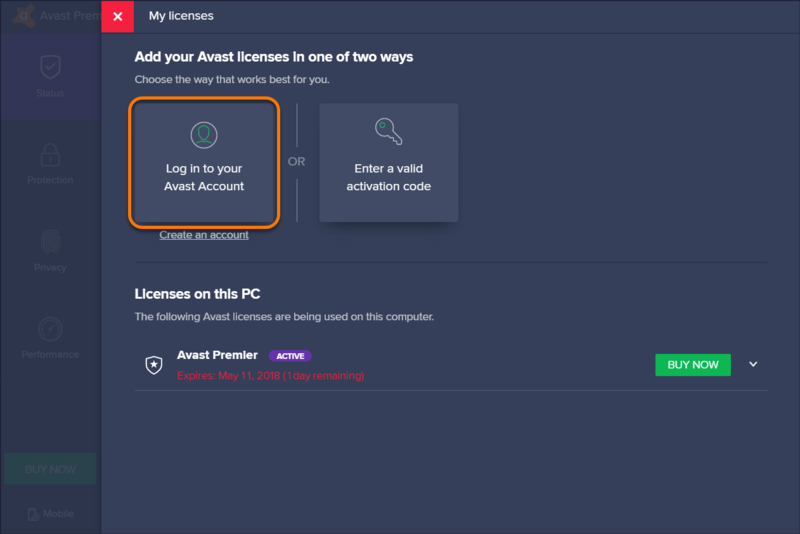 Enter your Avast Account credentials and click Log in. 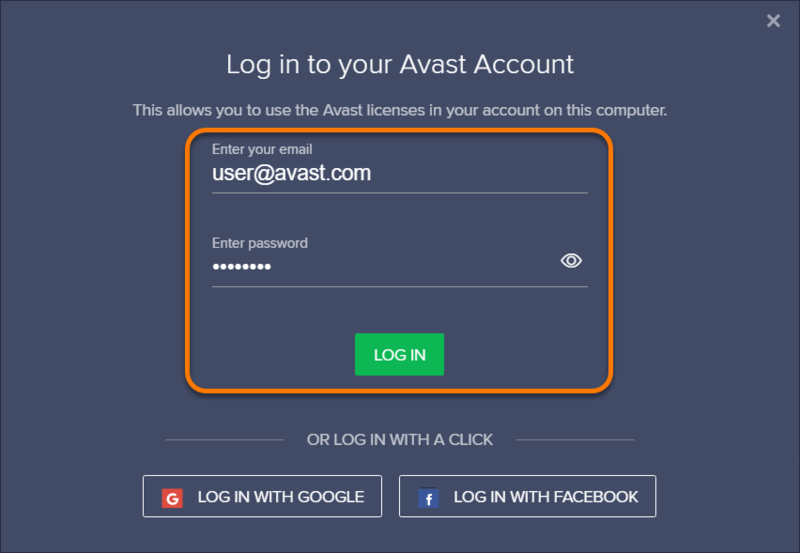 Alternatively, select Log in with Facebook or Log in with Google to log into your Avast Account using your existing Facebook or Google credentials. 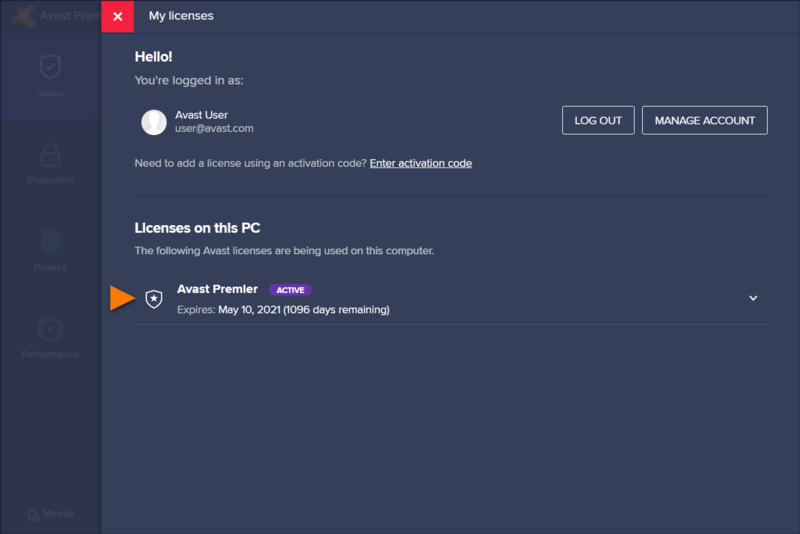 Check your license details for the connected Avast Account. If you have any licenses for interchangeable products, you can click on a listed item and select an alternative license from the drop-down menu. Then click Continue to return to the My licenses screen. Your Avast Premier license is now activated. The expiration date of your license appears under Licenses on this PC. You can activate your license on the number of PCs you specify when making the purchase. Any unused product licenses are listed under Other available licenses on the My licenses screen. To change your license on the current PC, click Switch to this License next to the listed item, and then click Switch to confirm.